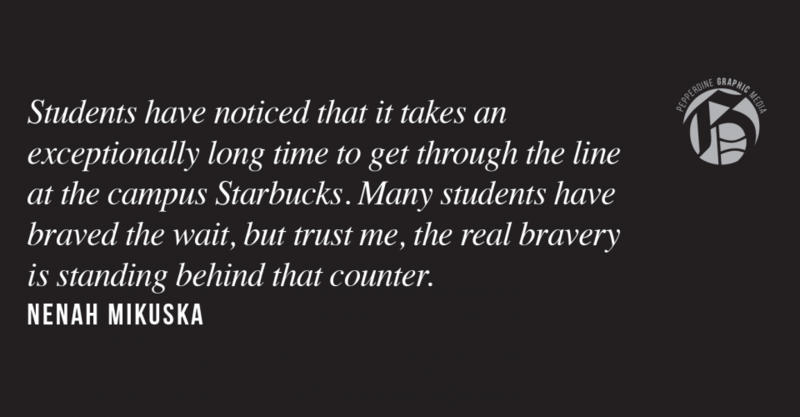 Students have noticed that it takes an exceptionally long time to get through the line at the campus Starbucks. Many students have braved the wait, but trust me, the real bravery is standing behind that counter. 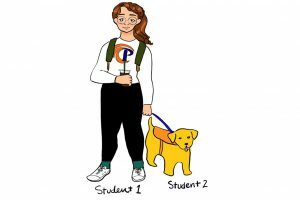 I’ve worked at the Starbucks on campus since the middle of last semester, and I have some information I’d like to share. If you order your drink and then don’t return for 20 minutes, that is part of the reason why the line gets so long. When a drink gets made, the baristas have to call it out at the end of the bar. If the drink isn’t picked up within a couple minutes, we have to call out again at least three times, taking time away from the other drinks in line. So don’t walk to the other end of Payson after ordering, even if you think it will take a while to get your drink. It will be faster for everyone to stick it out and wait, and it also reduces the chance of the drink being a watered down version of what was once a gloriously caffeinated beverage. Also, don’t count on the baristas getting your coffee out before class. When in doubt, don’t get in line. I throw away way too many drinks during my shift. Why does it take forever to get a drink? The line is so long because we are drastically understaffed. Sodexo is in charge of the hiring and has yet to find more employees for Starbucks. Please be patient with the baristas as they are working with half the manpower needed. And finally, the baristas making drinks have no idea where the food has ended up. Food is being handled by a different person on the other end of the store. Please ask them about it, not the baristas next to the glass. Finally, feel free to direct any complaints to Sodexo themselves, because trust me, the baristas are doing their best.